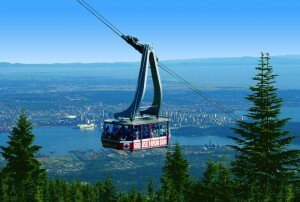 Vancouver, British Columbia is one of the most scenic cities on earth. Having traveled there twice I can vouch for its well earned reputation. Vancouver is western Canada’s economic, multi-cultural and artistic hub; it's where the jobs are. 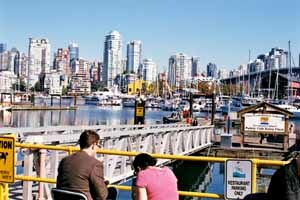 Vancouver’s a city of wondrous excitement, a world class city which boasts of fine art galleries, great restaurants and a domed stadium home to trade shows and the Vancouver Canucks NHL team. If the truth were told I’ve ran into his kind quite a few times in my dealing with Canadians both sides of the border including a supervisor who narrowly escaped a severe beat down by disgruntled employees. I appreciate that country for its natural beauty, vastness and frontier quality. It’s the stuck-up attitudes of some of the locals I detest. After we talked a while I found out that this guy was actually a decent sort. He promised to order this particular brand though I didn’t live in that neighborhood anymore. 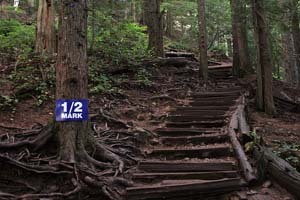 I wrote an article about the city of Victoria on nearby Vancouver Island. The island provincial capitol is only a few miles apart from larger Vancouver however there is a remarked difference between the two peoples. Both are Canadians yet Victorians are urbane, easy going, soft spoken and utterly sure of themselves; Vancouverites a bit brash, condescending aforementioned and appear to be somewhat overly self-conscious; just my observations after a few visits. Vancouver is one-clean-place. It has a large Asian community, in fact about approximately +40% of its people are of Asian decent with inward migration from China/Iran/India/Mexico so huge they have imposed a 15% tax on city properites bought by immigrants. I married into a very large and loving Asian family. During my last visit I worked in an international trade show with some of the far western branch of my extended family. I was selling imported rattan furniture from the Philippines from our booth at the domed BC Place Stadium. It was there I noticed an interesting aspect about Canadians; the powers that be run that country by the ‘numbers.’Everything is ‘Just-So’ with no deviations in between. Point: when I was driving my cousin’s pick-up truck on a stretch of highway just outside Vancouver near the small warehouse/farm where the furniture was stored, my cousin and I decided that morning to drive to the local McDonald’s for breakfast. Despite my lack of foreign driving experience I volunteered my services. A few minutes into my drive we encountered a little old lady driving at a snail’s pace in the fast lane. Here in Chicago I would have quickly passed the procession of cars and left granny and her entourage far behind. The old girl was going so slow she had about 15 or more cars and other vehicles trailing in close formation behind her while the right lane was empty of drivers. Being the consummate American driver, I flicked on my turn signal, changed lanes and then lit off down the highway trying to out pass the procession of vehicles alongside me. As Granny grew smaller in my rearview mirror my cousin nervously corrected me and told me that it was illegal to pass people up in Canada no matter how slow they drove and I should have trailed behind the woman. After a few off color remarks by your beloved writer I reluctantly eased over to the shoulder and handed him the wheel. I told him that was the dumbest law I ever heard as we continued to McDonald’s. Once there I ordered my usual hotcakes, sausage, milk, orange juice, water, and coffee. The service was friendly enough and the line was short but the food tasted different. What many travelers are unaware of is that American franchise restaurants (KFC, McDonald’s, Pizza Hut, etc.) are geared to the palates of the local people. After the meal we continued on towards Vancouver. (There are healthier eating establishments too - many vegetarian and or ethnic restaurants). Eventually we arrived at the city. My cousin momentarily leaned my direction to check if I was in violation of the Seat Belt Law. I wasn’t but no sooner than we reached a Stop Sign waiting was three brown shirted members of Vancouver’s finest peeking inside each vehicle as they stopped to check for seatbelt violators. One officer did the peeking, another stood at rigid attention beside his motorcycle preparing to give chase to violators who tried to run off, while a third stood silently at the corner arms crossed looking mean. After we stopped we continued our drive. You think American cops are rough on traffic violators you ain’t seen nothin’ yet; just drive BC! And speaking about doing things ‘by the numbers,’ back to the trade show. My cousin and I were laying a stretch of carpet. The building inspector, a young woman who resembled the younger and prettier version of Iron Lady the late Margret Thatcher was making her rounds. Clipboard in hand she inspected the various booths that comprised the show. Walking alongside were two rough looking dudes! When she approached our booth, she took out her measuring tape and told us that we were an inch over our assigned boundary space. I pleaded with her asking her to ignore the extra inch since we needed it to fully extend our beautiful hand woven carpet. She politely halted my argument in mid-speech. The building manager ordered us to move the carpet an inch off the walkway wrote down something on her board and continued on her way flashing a malicious smile as she stalked off. Ain’t it amazin’ how much you can achieve by being polite swinging a club in one hand supported by goons? Vancouver is another world compared to what I’m used to. Vancouver, the ‘Singapore of North America’ is clean, exceptionally well-run, hyper-organized and aforementioned ran by the-book. Not bad traits when you think about it in comparison to the chaotic alternative I’m familiar with. Perhaps our own city could use a bit of their strict metropolitan regimen. I got a sense the place was ran by some unseen puppeteer jerking and pulling the strings of daily life. My cousin validated my notions about the city as he ran down some of the ‘do’s and don’ts’ this city imposes on its people; maybe a lot has changed since I was there last; I don’t know. 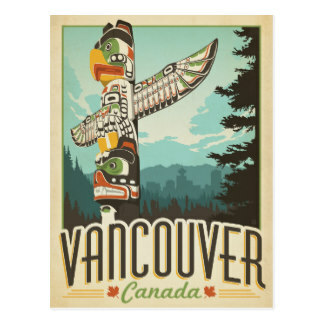 On the whole Vancouverites are a bit stiff (British influence you know), friendly, charming, open, orderly, helpful, very down to earth, its people fiercely proud; they should be; like Victoria, a garden city; who can fault ‘em for wanting to keep the peace. Eventually we ended up at her home where she introduced me to her family. We had dinner after which she drove me back to my hotel. I saw her again a day later at the family barbeque. Before returned to the States we promised to keep in touch. Weeks later when I returned to Chicago I kept my promise. Our correspondence continued for a number of years. Vancouver has a wide variety of entertainment options. There’s something for everyone. Vancouverites enjoy world class theater, a top-notch opera and symphony orchestra, folk and jazz festivals delight patrons from the entire West Coast. The bars, pubs, clubs and cafes are always packed with patrons. There’s more than enough high and low end restaurants to suit everybody’s budget and culinary tastes. For a sampling of Vancouver's nightlife, order a copy of the Georgia Straight . The Thursday edition of the Vancouver Sun contains the weekly entertainment section Queue. The monthly Vancouver magazine (www.vanmag.com) is filled with listings of local hot spots. I strongly suggest taking a virtual walking tour through this city before visiting. Use the Skytrain, its safe and cheap and gets you to and from the airport too. Having traveled/worked there I heartedly recommend a holiday to this beautiful place. The city has a low crime rate but still take ordinary precautions just in case. If you’re into nature there’s hunting, fishing, mountain climbing and hiking, Vancouver’s an ideal point of departure for the great Canadian outdoors. 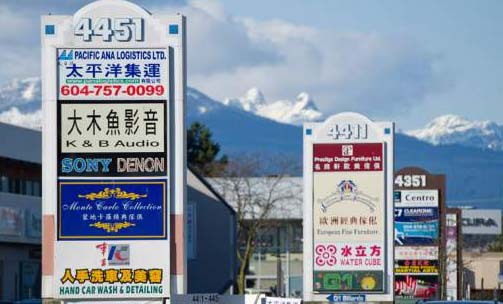 Vancouver like California has a large Asian community replete with exotic shops, restaurants and many other Asia related establishments. Check out the Chinatown Night Market and the food! and the huge Asian restaurants in Richmond. Would I relocate to this Canadian city; nah-don’t think so; nice folks but too straight laced for me. There’s a certain reserve about the place I couldn't ever get use to. Vancouver’s banks offer 0% interest on selected credit cards until 2018 with free balance transfers and double cash back incentives. What’s the catch; ain’t figured it out yet. Canada’s cost of living is much higher than home; you pay more for less. (See their property prices if you don't believe me). Though extraordinarily beautiful, Vancouver’s not Heaven. The place is expensive; don’t go there broke and taxes are sky high. Obey the rules of common sense, watch your driving, research the city, avoid the red light district on Hastings and you should be alright; enjoy! *For fiction set in Vancouver read 'Another Place to Die: Endtime Chronicles' by Hawksmoor & North.